Brno University of Technology is one of the Czech’s leading research and teaching institutions. It is located in central Europe – Brno, Czech republic. The Brno University of Technology was founded in 1899. 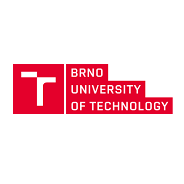 During more than a hundred years of its existence the number of study areas have increased and at present the Brno University of Technology, as the only technical university in the Czech Republic, covers the whole spectrum of technical disciplines. With almost 23,000 students, the Brno University of Technology is one of the largest universities in the Czech Republic. The University has made numerous contacts with universities and other institutions around Europe, United States, Poland, Russia, Syria, Taiwan (ROC), etc. The Brno University of Technology has supported internationalization of studies through ECTS, participated in EU projects such as Tempus, Leonardo, Socrates/Erasmus, CEEPUS, Aktion, DAAD partnership , studies for two degrees and the Euro-engineer degree, organizing lectures of visiting professors, providing courses for foreign students in English, and organization of international conferences. The Brno University of Technology has paid great attention to the establishment and equipment of libraries and computing centres. They are all open to students and staff in the university centre, at faculties and at dormitories.